The Wakhan, Wakhan Corridor, and Wakhjir Pass - one of the most remote areas in the world. The Wakhan is the finger-like projection in the northeast of Afghanistan, and borders China. The Wakhan Corridor is is one of the most remote and pristine districts in the Badakhshan province in Afghanistan. Most villagers have never seen a foreigner. 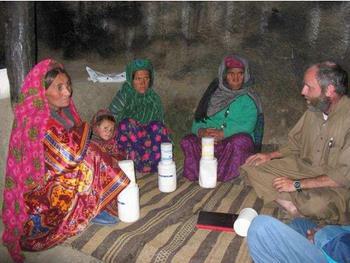 Read about John and Lisa's Wakhan Corridor Adventure September, 2009. This land is almost five km above sea level, and from the Wakhan,you can look east into China, 210 minutes into the future. The Wakhjir Pass is located where three great mountains range converge: the Karakoram to the south-east, the Hindu Kush mountains to the south and the Pamir mountains to the north. The Wakhan lies on one of the many Silk Roads; Marco Polo may have crossed here...at least the sheep are still called Marco Polo sheep. It is possible the 7th Century Buddhist pilgrim Xuan Zang came through here as well. 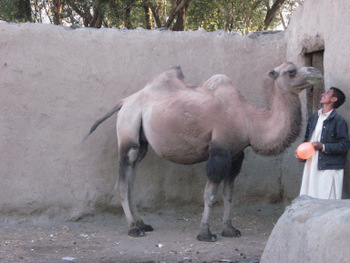 The true source of the Oxus River is possibly ten kilometers from the Wakhjir Pass, instead of Lake Sarikol. If this is true, then when the boundary lines were drawn in the 19th century, based on the assumed river source, huge sections of the Wakhan Corridor should have fallen to the Russians and Afghanistan and China would not share a border at all. The Wakhan Corridor has been all but closed since the decline of the Silk Roads six hundred years ago and the Wakhjir Pass has been closed since Mao’s Communists came to power in 1949. In July of 2009, the Wakhan experienced its very first air strip open up. Only one airplane in the entire country can get in there - a (single engine) Cessna 210 operated by P.A.C.T.E.C., a humanitarian transportation agency. Read an amazing story of two "mature" adventurers who set out to be some of the first tourists to the Wakhan! A second airstrip farther up the Wakhan Corridor was opened up late 2009. 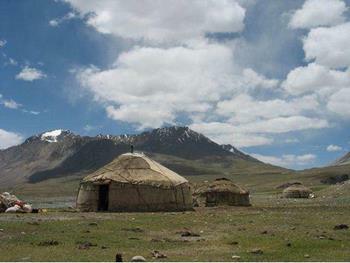 Several humanitarian agencies such as Greg Mortenson's Central Asia Institute (and author of Three Cups of Tea)and others are presently in the Wakhan, beginning medical projects and other survey projects. But it seems that no outsider has crossed the Wakhjir Pass perhaps since Tilman in 1947. We are proud to show pictures of the first airstrip in the Wakhan! The villagers up the valley are so excited that they immediately began working on a second airstrip, which they finished extremely fast! 50% of children from 12 – 23 months, and 25% of children from 24 – 35 months were malnourished. In consultation with the community, the survey team designed a flued stove, which is currently undergoing trials in 15 households. In the year to April 2006, child mortality had fallen to 20%, a reduction of around 40%! 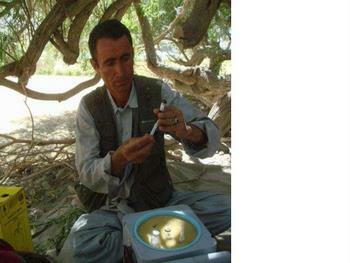 2 men were sent on a government vaccination training course, and now do monthly vaccination rounds for women and children. These same two men were also trained to do ZN staining for diagnosis of TB, and in the principles of DOTS for the treatment of TB. 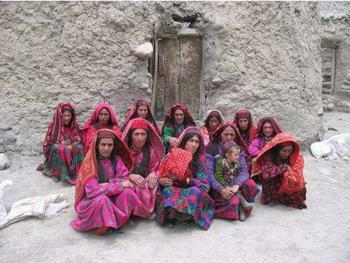 Work in the Pamir Mountains - 1400 nomads of Kirghiz ethnicity live in small family groups in the Pamir Mountains. The team is responsible for vaccination for this population, and is also doing some very basic training and medicine distribution.